The Xiaomi brand has been doing extremely well in the country and it is not so hard to see why. The smartphone maker ships great hardware at minimum prices. In a price sensitive country like India, this aspect is key. A great example of this is the Xiaomi Mi 4i. The Xiaomi Mi 4i was marketed as a budget smartphone, but its higher storage variants ended up having it perceived as a mid-range phone. The device was launched at a price tag of Rs 9,970 and was not too different from the Mi 4 in many aspects. The Mi 4i is powered by a 1.2GHz quad-core processor from MediaTek, and comes with 2 GB of RAM on board. The device offers up to 16 GB of internal storage - and there is an option to expand it to 32 GB as well. The camera system on the phone happens to be the same as seen on the Redmi Note 3 smartphone. However, Mi 4i’s peak time success now seems to have come to an end, as there are now many more devices in the Mi lineup that offer better specs - nearly double the RAM, higher storage specs, and superior cameras. You don’t need to look further than the Mi 5 series, or even the Redmi Note 5 series to understand how quickly phones have upgraded themselves. How can you buy these phones? Cashify is there to help. 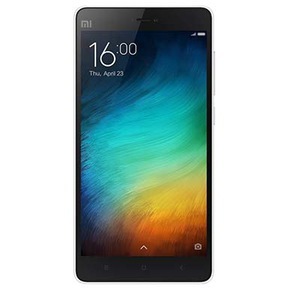 Why Sell Your Old Mi 4i On Cashify? 1. Our automatically generated, the transparent pricing model is the best in the market. All the portal does is ask you certain questions about your Mi 4i’s condition, model number and the warranty period. 3. Cashify will provide you with the money for your Mi 4i right at your doorstep - in any payment method, you may like - cash, bank transfers, or even e-wallets. The entire process can be completed from the comfort of your home, with Cashify’s agents coming to your doorstep to complete the sale. The resale value will be instantly paid to you once the Cashify agent visits you and inspects your Mi 4i. 2. Search for the Mi 4i, and share the condition of your device.